Sullivan. The Trouble with Medical "Voluntourism." Scientific American, 2017. 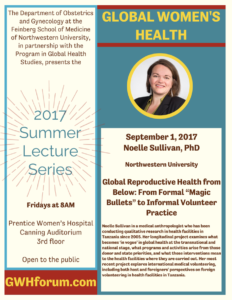 Noelle Sullivan is a medical anthropologist who has been conducting qualitative research in health facilities in Tanzania since 2005. Her longitudinal project examines what becomes ‘in vogue’ in global health at the transnational and national stage, what programs and activities arise from those donor and state priorities, and what those interventions mean to the health facilities where they are carried out. Her most recent project explores international medical volunteering, including both host and foreigners’ perspectives on foreign volunteering in health facilities in Tanzania. 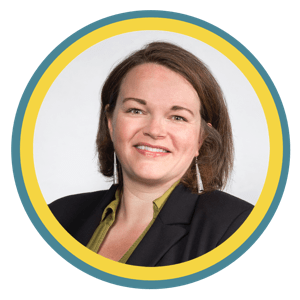 Her work is published in Medical Anthropology, Space and Culture, Critical Public Health, African Diaspora and the edited book Volunteer Economies: Politics and Economics of Voluntary Labor in Africa by James Currey Press. Dr. Sullivan has done invited lectures and keynotes on the results of her volunteering research at medical schools and global health programs throughout the United States, and is currently developing the results of that research into a book. For 2016-2017 Dr. Sullivan was a Public Voices Fellow at The Op-Ed Project.